The Backup Server step of the wizard is available if you have chosen to restore data from a backup file located on a backup repository. Select the Specify your personal credentials check box. In the Username and Password fields, enter a user name and password of the account that has access to this backup repository. 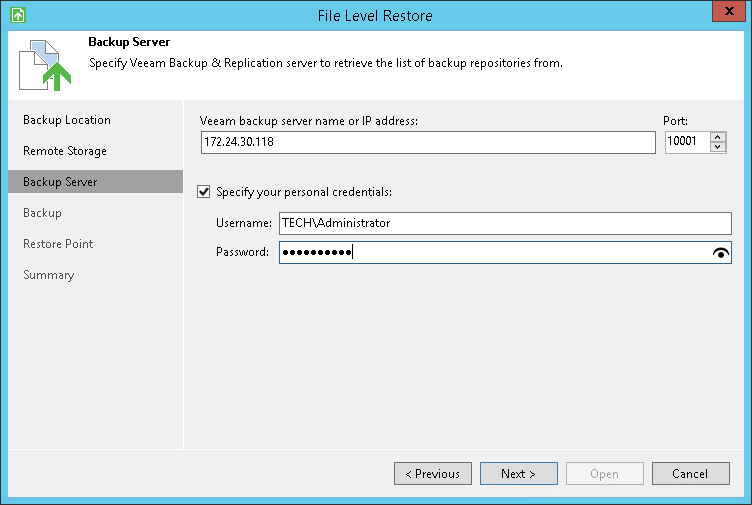 Permissions on the backup repository managed by the target Veeam backup server must be granted beforehand. To learn more, see Setting Up User Permissions on Backup Repositories.